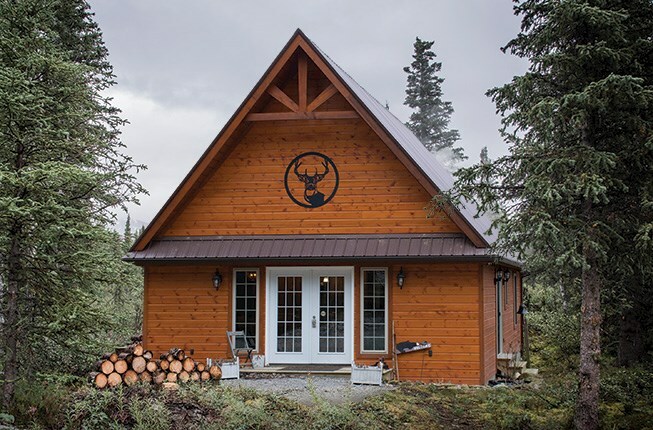 Visit jdmcustombuilders.com for much more about custom homes, cabins, cottages and tiny homes, Unibilt homes by JDM and commercial buildings. From every angle, this house engages with its setting. 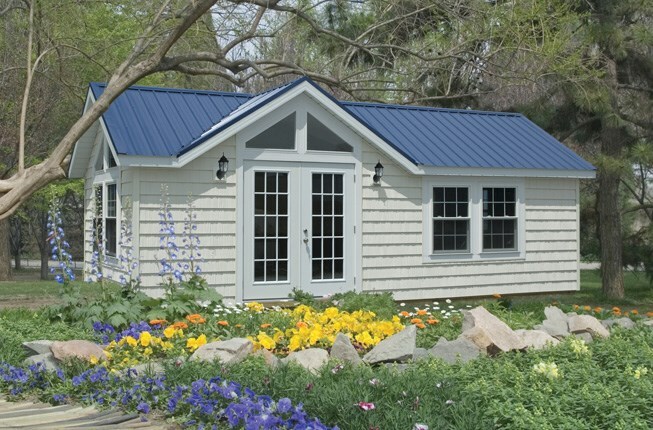 Roof line and gables set the character, enhanced by shingle detailing and well-spaced windows. Patio and porch balance each other, with bracketed, lighted overhangs and a deep portico as defining elements. There’s a relaxed modern-country mix in floors, finishes and fireplace. 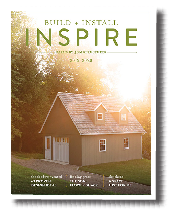 Textures both weathered and sleek—stone, cement, wood, galvanized panels—make the most of an on-trend woodsy palette. 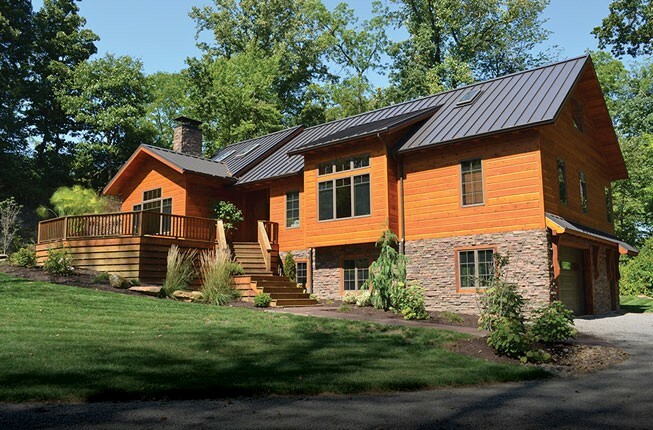 Stone and pine sidings pair with a steel roof for a warm, rustic look in this efficiently designed custom home. 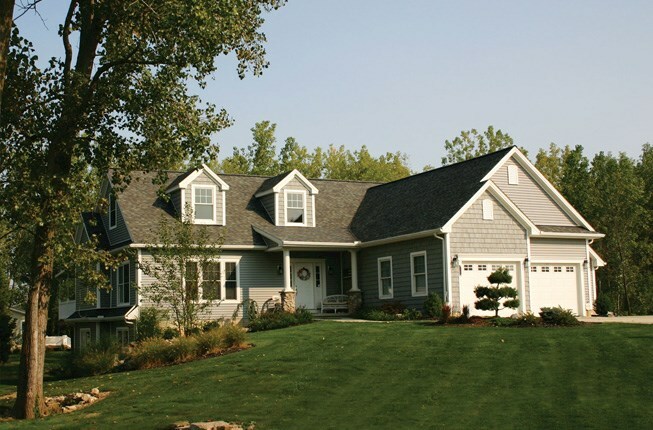 A classic farmhouse look with perfect proportions and a most welcoming wrap-around porch. 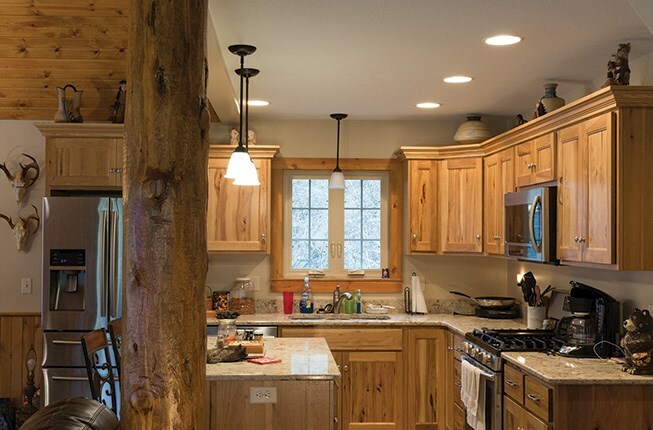 Every detail is in place to make this the house that just "feels like home" to everyone. 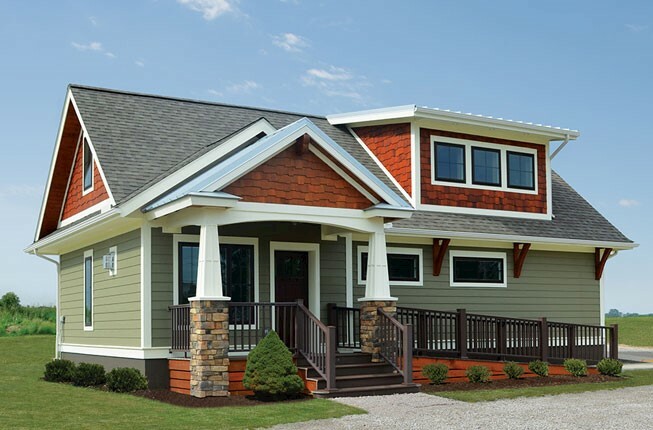 A handsome, convenient single-story ranch, this home began in the factory for a stronger structure with more precisely cut components. 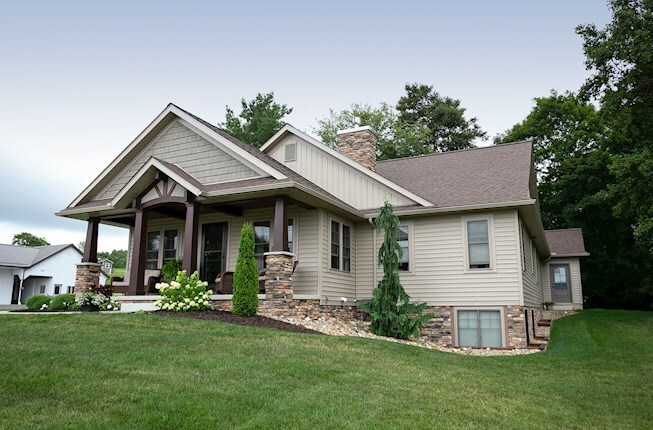 Get more home per dollar with a 1½ or 2-story design. There are hundreds of options and a much shorter building timeline, with site prep and construction occurring simultaneously. 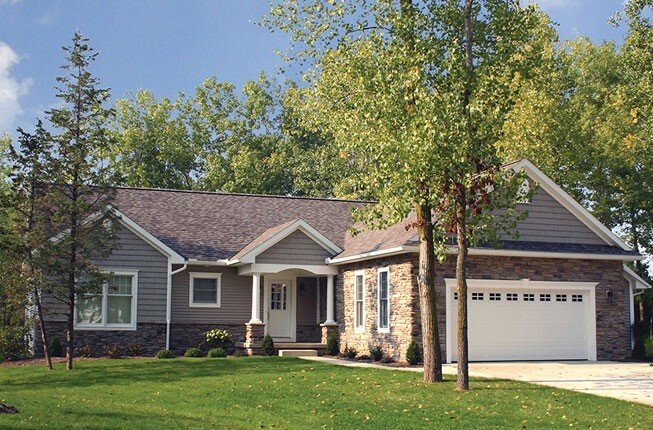 This plan features a two-car garage in an attractive, set-back design and a pair of handsome dormers. 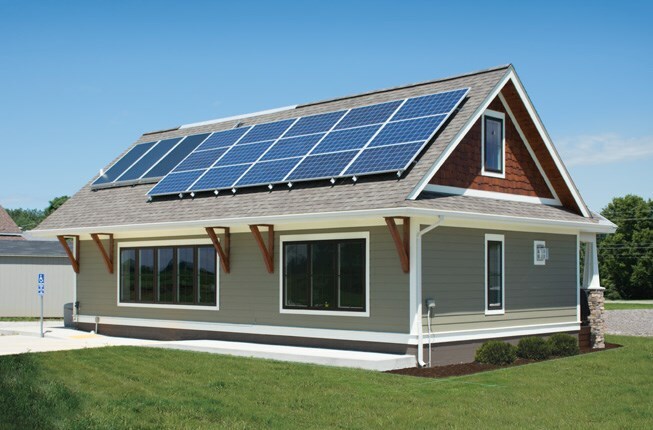 This custom, off-the-grid structure is powered efficiently by solar cells that power electricity and thermal collectors that provide hot water. 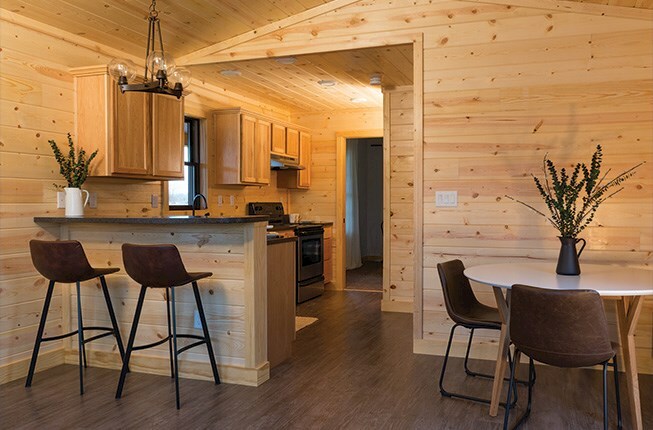 Modular homes by JDM brings you fully finished tiny homes with interior lighting, wallboard, flooring, and insulation as well as carpeting, cabinets, countertops and plumbing fixtures. 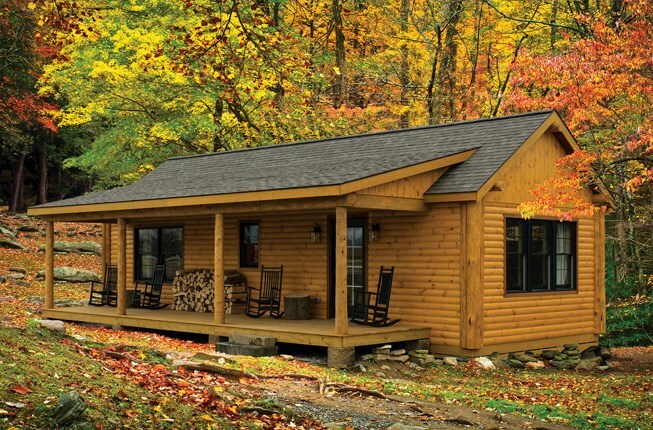 A-Frame Cottages, 24'x40'. 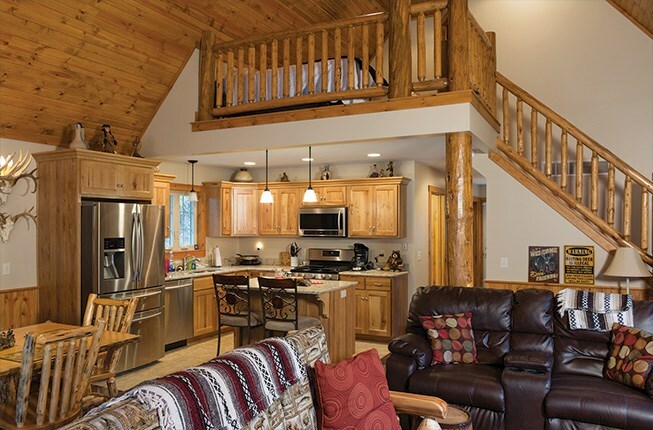 Special touches: 8" pine cove siding, cathedral ceiling, custom kitchen, sleeping loft with stairs, bathroom(s), much more. A-Frames go up in a flash, usually 2-3 days. 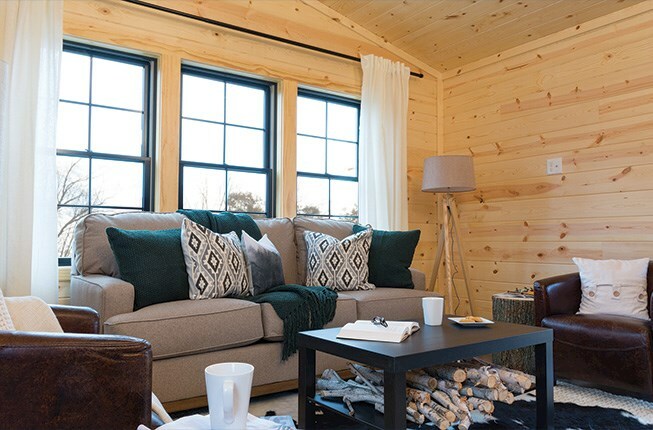 A stunning blue roof is just the beginning of special features -- inspired rather than limited by the compact size of a tiny house -- like cathedral ceilings, clerestory windows and beautiful wood flooring.